To paraphrase Rudyard Kipling, Burma is quite unlike any place you know about.1 The country has a tumultuous history, from its first unification in 1057, as the Pagan Kingdom, to its romanticized period as a British colony, to its current military junta. Burma has always been defined by oppression and political volatility. In 1948, after successfully resisting fascism and Japanese occupation during World War II, Burma finally achieved its independence from Britain. The next fourteen years were marked by moderate economic growth but crippling political strife; eventually the country’s main political party, the Anti-Fascist People’s Freedom League (AFPFL), split into two factions, and in 1962, General Ne Win seized control of the government through a military coup d’état.2 Ne Win held power for the next twenty-six years, nationalizing all sectors of the economy and banning all opposition parties, free speech, and independent newspapers. Burma quickly became one of the most isolated societies in the world, and although allegations of human rights abuses were widespread, foreign observers were not aware of the full extent of abuse at the time. In 1987, Ne Win’s massive devaluation of the Burmese currency (a superstitious man, he replaced all of the country’s large banknotes with 45-kyat and 90-kyat banknotes, both of which were multiples of 9, his favourite number) wiped out millions of people’s life savings and triggered anti-government riots. These nationwide revolts culminated in the famous 8888 Uprising, on 8 August 1988, when 3,000 peaceful protesters—including students, intellectuals, workers, monks, and members of various ethnic groups—were massacred by the police and military.3 Around this time, Aung San Suu Kyi emerged as a revolutionary voice in the country. She was the daughter of Aung San, the leader of the Burmese independence movement in the late 1940s and founder of the Burmese Communist Party, an organization that remains banned to this day, On 26 August 1988, she led half a million people in a mass rally on the capital city of Rangoon, calling for a democratic government in her first public speech. She would go on to win the 1991 Nobel Peace Prize for her groundbreaking activism and commitment to nonviolent resistance. Ne Win stepped down during the uprising, but his successor, General Saw Muang, swiftly created the State Law and Order Restoration Council (SLORC) to crush the opposition. He imposed martial law, placed Aung San Suu Kyi under house arrest, and officially renamed the country Myanmar. The popular movement did, in fact, pave the way for democratic elections in 1990, with Aung San Suu Kyi’s opposition National League for Democracy (NLD) winning over 80% of the vote. However, the military junta refused to recognize the results of the election, and they held power for another two decades before 2011’s transition to a quasi-civilian government. In spite of these causes for optimism, Burma’s darkest conflict persists. The country’s southwestern state of Arakan is home to about 500,000 Rohingya Muslims who have been persecuted for decades, not only by the Buddhist majority but also by the Burmese government. In 1982, the junta passed a national citizenship law that failed to recognize the Rohingya as one of Burma’s 135 legally recognized ethnic groups, thus denying them citizenship. The military has used this law as justification for numerous attacks, including a 1991 campaign that forced 250,000 Rohingya to flee to Bangladesh. Today, while the majority of the country enjoys greater social freedoms as a result of political reforms, the situation for the Rohingya only got worse. 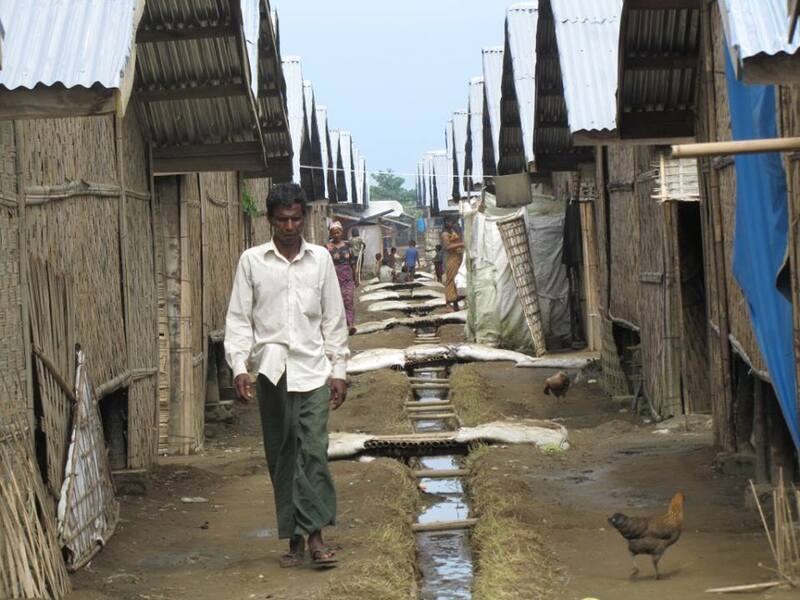 Renewed violence in June and October of 2012 left 211 people dead and at least 125,000 Rohingya displaced in camps; in their report on the crisis, the Human Rights Watch stated, “[the attacks] were organized, incited, and committed by local Arakanese political party operatives, the Buddhist monkshood, and ordinary Arakanese, at times directly supported by state security forces. Rohingya men, women, and children were killed, some were buried in mass graves, and their villages and neighborhoods were razed…In the months since the violence, the Burmese government of President Thein Sein has taken no serious steps to hold accountable those responsible or to prevent future outbreaks of violence.”11 The attacks against Muslims have also spread to other regions of Burma; yet, despite demands from the UN, foreign leaders, and advocacy groups around the world, the Burmese government has failed to provide protection (legal or physical) for the Rohingya or to even investigate the humanitarian crisis at hand. 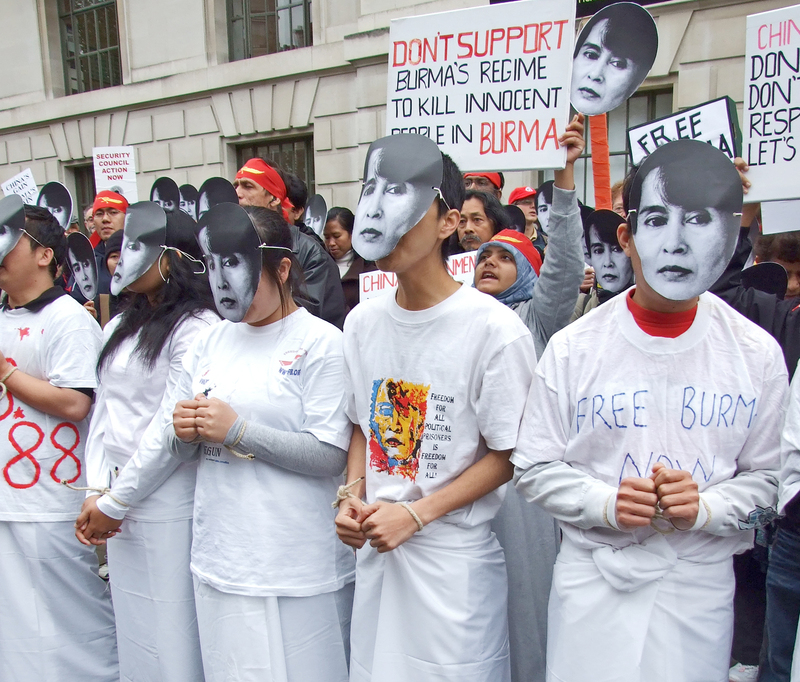 Clearly, Burma’s human rights record is appalling. The steps taken towards liberal democracy during the last four years are certainly laudable, but these represent just one aspect of a developed society. Until the Burmese military proves its genuine commitment to civilian government and ends its systematic persecution of the country’s Muslim minority, the Burmese people and outside observers should remain cautious. Counterrevolution is always possible12, and the government has not done nearly enough to deserve international approval. 1Kipling, Rudyard. “From Sea to Sea and Other Sketches.” Letters from the East. Vol. I. New York: Frank F. Lovell, 1899. Print. 2“Myanmar Profile.” BBC News. British Broadcasting Corporation, 7 Oct. 2014. Web. 18 Oct. 2014. <http://www.bbc.com/news/world-asia-pacific-12992883>. 3“Burma | Burma Center Prague.” The Protests of “8888” Burma Center Prague. Web. 17 Oct. 2014. <http://www.burma-center.org/en/burma/history/8888/>. 4Wilson, Trevor. “The Significance of Myanmar’s 2010 Election.” New Mandala. The Australian National University, 15 Dec. 2010. Web. 19 Oct. 2014. <http://asiapacific.anu.edu.au/newmandala/2010/12/15/the-significance-of-myanmar%E2%80%99s-2010-election/>. 5“West Dismisses Burma’s Election.” BBC News. British Broadcasting Corporation, 8 Nov. 2010. Web. 19 Oct. 2014. <http://www.bbc.com/news/world-asia-pacific-11707294>. 6Allchin, Joseph. “Taste of Democracy Sends Burma’s Fragile Economy into Free Fall.” The Independent. Independent Digital News and Media, 20 Sept. 2011. Web. 19 Oct. 2014. <http://www.independent.co.uk/news/world/asia/taste-of-democracy-sends-burmas-fragile-economy-into-freefall-2357511.html>. 7Head, Jonathan. “Winners and Losers of Burma’s Opening up.” BBC News. British Broadcasting Corporation, 21 Oct. 2013. Web. 19 Oct. 2014. <http://www.bbc.com/news/business-24605695>. 8,9“Emerging Myanmar Aims to Catch Up to Its Neighbors.” The World Bank. The World Bank Group, 26 Jan. 2014. Web. <http://www.worldbank.org/en/news/feature/2014/01/26/emerging-myanmar-aims-catch-up-neighbors>. 10“Human Development Reports.” Data. United Nations Development Programme, 24 July 2014. Web. <http://hdr.undp.org/en/data>. 11Smith, Matthew F. “All You Can Do Is Pray”: Crimes against Humanity and Ethnic Cleansing of Rohingya Muslims in Burma’s Arakan State. New York, NY: Human Rights Watch. 22 Apr. 2013. Web. 12“Myanmar Jails 3 Journalists for Leadership Report.” ABC News. Associated Press, 16 Oct. 2014. Web. 19 Oct. 2014. <http://abcnews.go.com/International/wireStory/myanmar-jails-journalists-leadership-report-26233377>.